If you’ve never heard of a squishy before, you’re probably thinking to yourself, “what on Earth is it and why does it sound so silly?” Well, they are responsible for making stress balls a thing of the past while offering a whole new world of benefits along with them. They come in the form of tiny animals (like cute kittens! ), shapes, or even foods, and their main job is to be squeezed--but that’s not all. They are a Japanese creation that is nearly indestructible. You can squeeze them as much as you want, pull them, twist them, whatever you can think of, and miraculously, they still hold their shape. Each of these little squashable squishes is carefully designed to be cute and attention-grabbing, as you’ll see on our list. They’re great stress-relievers, provide a fun small-muscle workout, and they’re simply adorable! How much fun is this winking little cat? Oh So Squishy knows how to take Kawaii style and turn it into something that's both fun and functional, and this sassy kitty is ready to help take away all of their stress. The company name says it all for this positively adorable cat! Oh So Squishy is one of the top brands out there for all of your squishy needs and this cat is relatively large, so it’s really perfect for any age group. Featuring a bright blue and white design, this cat was created in traditional Japanese manga-style art. With a cute winky-eyed face and a smile that every child will love, who could say no to this precious cat? That makes it a great stress reliever that can easily be placed on a desk, kept in a locker, or even stored on a shelf. This squishy is scented and smells like fresh berries, which helps with stress by distracting and giving kids a pleasant scent to soothe them. Looks aside, you can squash this kitty with the best of them; while it is rather large in size, it’s able to be squished down to less than three times its normal size! We never thought that squishing a cute cat would be so much fun. Each time this toy is squashed down, not only do you get a waft of that delightful berry smell, but you’ll be reducing your stress each second you watch this cat come back to life. This adorable squishy comes with a bag that can be resealed so if your child doesn’t want their room or backpack smelling like berries all the time, they can seal their new toy right up. This is also great for preserving its shelf-life since it’ll be protected and won’t be exposed to moisture or dust. You're seeing that right... This is one giant panda bear! It's a little bigger than some other traditional squeeze pals on this list, but it's perfect stress-relief all the same. Not to mention, it's super adorable. 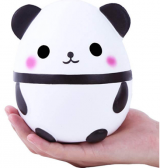 This panda is also huge, which makes it a great value for all kids with little risk of a child sticking this in their mouth or chewing on it The AOLIGE panda would make such an adorable addition to any child’s room, locker, or squishy collection. Its perfectly round panda shape makes it somewhat of a collectible and something that kids will never really grow out of. We mean really, who can resist those round pink cheeks and that adorable smiling expression? The slow-rising quality of this squishy is exactly what helps kids to calm down when they’re suffering from significant anxiety. One squashed, this toy will take at least 20 seconds to fully expand again, thus holding a child’s attention and forcing them to slow down, breathe, and focus. Some might find the sweet cream smell to be a bit overwhelming at first, but over time it will eventually air out and become less overwhelming. This wonderful panda can literally be squashed down into a tiny ball, not to mention, it smells positively delightful. It’s highly durable and designed to be squashed in more ways than you can count, making it fun as well as stress-relieving. This is great for panda lovers or lovers of the popular Kawaii art style, which is becoming more and more popular by the day. Since this panda is small enough to fit in a child’s palm but big enough to prevent any potential choking hazards, it’s very age-friendly. With the subtle scent of cream, kids will forget their stress in no time. The holiday season is a time for family gatherings, gift giving, and more than a little stress. Take a moment for a little fun with this relaxing and slow-rising Santa and Friends Jumbo Squishies pack! These adorable squishies feature four holiday-themed pieces, perfect for your next white elephant office party or children’s stocking stuffer. Santa fills the Stocking with toys for his friend Snowman and places it under the Christmas Tree! Each squishy features an adorable design and details crafted to last through dozens of squishes. Perfect for your favorite collector! All four squishies arrive vacuum-sealed in a decorative holiday-themed box already wrapped and ready to deliver! Each package also includes bonus stickers! Hand-eye coordination, muscle development, and finger strength will all be exercised with these adorable little creatures. Kids won’t know how much they are helping their minds and body grow by simple play with them. Each of these adorable squishies measures a whopping 4 ½ inches tall and is made of premium materials. Designed to slowly rise, it can take up to a full minute for each figure to completely reform. Your little one will jump with joy watching these adorable squishies rise up and out of their vacuum-sealed box on Christmas morning! The slow rise of these squishies will calm and soothe an anxious child as they wait for them to expand and go back to their original shape. With four items in this pack, kids will stay busy with them for hours. Any fruit lovers out there? Each of these squishies is fun in their own unique way and can be played with differently. They also smell like fruit which only adds to the fruit-squeezing fun. Giant squashable fruit might be the answer to all of your child’s stress needs. This set comes with three delectable fruits for your child to squash, twist, and watch inflate again. Included are a strawberry, a banana, and a peach. Each fruit has a sweet-smelling scent to it which is both distracting as well as soothing. When squished down to its smallest form, each fruit takes just over 20 seconds to rise back to its normal size, making for a long-lasting stress reliever and a great way to deal with anxiety. Each one is super soft to the touch which kids will love, and they’re perfect for almost any age. A squishy like this is the perfect mindless fidget activity for kids while they’re doing their homework or even sitting in class. It promotes slight muscle movement while helping to keep your kids focused. The gaining back of the size and shape of these superb toys is part of the fun. This incredible set takes a longer than usual time to inflate, so your child can enjoy the toy process much more. These delectable fruits have been designed to look more Kawaii than realistic food which makes them fun to look at. They would be perfect as a cute decor idea for kids room or even the kitchen. These are some of the slowest-rising squishies we have on our list, so if you’re looking for a great stress relief option, these fruits are it. They expand in just over 20 seconds, meaning your child will have 20 seconds to de-stress, breathe, and focus on the slow rise. You can't take a bite out of this fruit, but you sure can squeeze it. It even smells fruity so that every time your child squeezes it, they'll be saying goodbye to their anxiety with each sweet whiff of mango. This exquisite mango is, as Areedy calls it, colossal -- It will probably be almost the same size as your child’s head which is sure to inspire some laughs but also some serious anxiety relief. This is what we like to refer to as a “two-handed squish”. Adults might be able to squash this mango down in no time flat, but for a kid, it might take some serious effort! That makes it perfect for distracting them from their stress and holding their attention while they squish this fruit down as much as possible just to watch it puff back up again. The creators of this squashy mango describe it as being similar to a “marshmallow” which might sound funny, but it makes for a perfect squishy. Kids will love the fact that it’s jumbo-sized and pretty to look at. It is lightly scented which just adds to the realism of holding a giant mango, and the design makes it shimmer in the light just like a “gold” mango really would if it were this size and color. We love that this wasn’t about creating something super realistic. The gold mango is really a good-looking addition to any collection, and it’ll easily take the place of having tons of small squishables. Just the sheer size of this mango is enough to distract kids from anything that might be bothering them and the bigger the squishy, the longer the rise time. For variety and quantity, these squishies are definitely the way to go. They're great as party favors, large families, or even to share and trade amongst friends at school. That’s why a 20-piece party favor set is perfect for your child’s parties, friends, or even your entire family. This set comes with a variety goodie bag full of different squishies, all with their own unique design and squashability. They’re cute, fun, and are sure to reduce your family’s stress level at least a little bit. Each one comes with a loop so that it can be attached to a keychain, thus making them extremely portable. Keeping them close to you can also make them useful before big events or in the event of a random pang of anxiety. The fact is, everyone loves a good squishy. It doesn’t matter how old you are or whether you’re a big fan of squishing things or products such as stress balls, it’s just natural instinct to want to squash these. Each of these was designed to be travel-friendly, so while it says that they’re “jumbo” size, they’re not nearly as big as some of the other products on our list. They fit perfectly in your hand and are easily concealed. You’ll get plenty of great squishies in here for an awesome price. There’s plenty of variety and your child will have a blast being able to trade them and swap with his or her friends. This fabulous assortment of toys can be extremely helpful while traveling in order to take your child’s mind off of any stress they might have on their trip. Hours of mindless play can be had during travel with these physically attractive items. Is it a loaf of bread? Is it a squishy? It's squishy bread! Not only does this bakery item look incredibly realistic, but it also smells like a sandwich in the making. It's not for eating though -- It's for squeezing! This is one squishy that we absolutely love. Not only is it totally random and hilariously but unlike the other products on this list, it is completely realistic! This Kiibru Squishy English Bread is exactly what your child needs if they love baking or just that scent of freshly baked or toasted bread coming out of the oven, because yes, this inedible bread actually smells like a real food. There’s no stopping this super large squishy bread once you get going. Even when it’s squashed down to its smallest size, it still looks real. Its shiny exterior gives it that look of a freshly baked loaf which will not only make your child hungry but will give them a laugh as well once they realize this isn’t real. It’s jumbo-sized so this is definitely a two-handed squisher, but it’s totally worth it! If your child doesn’t want an entire bread loaf, they have the option of going with pineapple bread, a pretzel, or even fruit on toast for this toy item. All joking aside, this is a one of a kind squishy. It’s common to find various cutesy animals and even fruits and veggies, but when it comes to bread, it’s so random that it’s actually enjoyable. The tantalizing aroma of this faux bread is what makes it so delightful and it’s really perfect for the little baker in your life. Bread lovers rejoice, you can now have freshly baked bread any time of the day! One of the biggest complaints about squishies is that they tend to have an unpleasant and chemical-like smell. Chuchik took this into account when creating their Sweet Scented Dinosaur! This adorable dinosaur is one of the largest "jumbo"-sized toys on our list! Measuring in at over 5 inches tall and almost 5 inches wide, this stress-relieving saurian is the perfect size for fistfuls of squishy goodness! Surprise your little one with their own prehistoric lizard this holiday season and their holiday blues will become practically prehistoric! Made of nontoxic and child-friendly materials, Chuchik’s squishies are the epitome of high quality. Squishies are a great, noiseless toy option that can also help your child focus their energy and relieve anxiety. Having to use both hands to properly squish and squash this exciting dinosaur toy, kids will be working their hands and arm muscles a lot. This aids with finger dexterity and hand-eye coordination too. Designed with a high level of detailing and double-coated for extra endurance, your little one’s dinosaur will last through dozens of squishes without peeling or cracking. By adding a light and pleasant smell to an already top-quality product, this manufacturer has helped make squishies even more enjoyable and pleasing for children. They will love the intoxicating aroma of this superb toy. Soft and satisfying, this adorable dinosaur is perfect for children who suffer from sensory overstimulation or anxiety. The simple repetitive motions of the squeezing and watching the material inflate again is quite soothing for children. This six-pack of jumbo slow-rising squishies comes pre-packaged in a gift box and includes extra goodies, all ready to deliver to the special person in your life! Once you squish, you can’t stop! These collectible and adorable squishies are so addicting that you might want to buy more than just one! A sensational value, Purple Ladybug Novelty somehow manages to vacuum-squeeze SIX delightful squishies into one box! Once opened, each squishy will slowly reform to its original shape and then be ready to squeeze and reform again over and over! Perfect for collectors or as a starter set for your special little one, squishies are suitable for kids 4 years and older! To promote hand-eye coordination, muscle development, relieve stress, and improve finger dexterity, squishies are a fun form of physical enhancement for kids of all ages. This assortment will keep kids busy for long periods of stimulating activity. Once this assortment is taken from its protective box, you will see them come alive and inflate to their normal shapes. You get six incredible forms in various shapes and colors that are perfect for a group or individuals. Squish it! Squeeze it! Watch it reform! Squishies can be as much a practical gift as a fun one! Supringsly satisfying, your little one can stave off school anxiety with a quick squeeze of their favorite squishy friend! Great for relieving stress, this jumbo pack is made of high-quality materials that resist cracking and peeling over time. These adorable stress relievers make the perfect stocking stuffer for children of all ages! This adorable birthday-themed set includes one rainbow cake squishy, complete with sprinkles, and one narwhal cake squishy. Finding a squishy for your little one this holiday season that they don’t already own can be a challenge. Many of the most popular designs quickly sell out and the less-popular designs lack uniqueness. Your kiddo can be assured that they will be the only one of the block to own the R.Horse Rainbow Cake 2 Pack! Made of durable polyurethane foam, these squishies are designed to shrink and reform over and over again without splitting or peeling. They have also been lightly scented to smell like ice cream and do not have the strong chemical smell that plagues other squishy brands. These wonderful toys are ideal for building hand and grip strength for rehabilitation or the development of fine-motor skills. Kids love to play with them and have no idea how beneficial they can be. Beyond being adorable keepsakes, squishies can serve several other functions. They can be used as a non-breakable decoration option, especially useful around small children and pets. These slow-rising squishies are tons of fun to squish and watch reform over and over again, no need for lights, noises, or complicated electronics. It is just plain and simple fun from manipulating the toy material. They relieve stress and help young children vent and express emotion without tantrums with their soft and flexible material. it is amazing how something so simple can be so helpful with emotional issues. This kind of toys, just like stress balls, will help them build muscles in their hands, forearms, and fingers. However, since many of these can be used with both hands (we’ve listed several jumbo-sized toys on our list), they’re twice as beneficial as your average stress ball. They can also improve circulation by increasing blood flow, which is great for kids who might have weakened hand muscles or lack some coordination in their fingers. These toys are designed to promote blood circulation, muscle coordination, and dexterity among children as well as adults, which is why they’re loved by everyone. The design of many of these is traditionally Kawaii, which is another aspect we’ll explain further in-depth in this article. Japanese creations are often colorful, vibrant, bright, fun, and full of life. They’re often designed to be cute but still age-appropriate for everyone, which is why their products are so successful. Japan is a very advanced country when it comes to inventions that can help in your day-to-day life, which is why something with such a simple concept, like a squishy, is so impressive. They’ve taken the idea behind a stress ball and turned it into something that’s fun, incredibly creative and potentially collectible as well. Let’s dive into a little bit of history and learn some interesting factoids about these adorable toys. The great thing about these is that they come in a variety of different shapes, sizes, and colors, which make them appealing to both girls and boys alike. Each one is uniquely designed so that no two are the same, making them super fun to collect, trade, and play with. They originated in Japan, where they’re referred to as “squeeze,” which is what you’re meant to do with toys such as these. Overseas, they’re largely popular mostly amongst teenagers, but they have a fairly wide following of fans all over the country due to how satisfying they are to play around with. The process of how they came to be is rather interesting. The fun foam that allows them to rise slowly as well as be squashed down into half their size is actually polyurethane. This foam allows the toys to be flexible and moldable while still maintaining its naturally given shape. It’s easily painted on and safe to handle, which makes them both natural stress-relievers as well as kid-friendly. Polyurethane was originally invented and intended for use when making seats for cars, but Japan had other ideas for the German-engineered flexy-foam. The material is soft, able to be pulled, tugged, squeezed, twisted, you name it--and it’ll still retain its shape and durability. This truly makes for the perfect toy! It is best to not give tiny squishes to kids under the age of six-years-old because they like to chew on things. They could pose a choking hazard if swallowed by young kids. If your squishy should happen to not function properly anymore and bounce back in shape, it is best to discard of it. Especially for children, these worn out toys are not the best for them to keep if they are not working correctly. Much like stress balls, they are excellent for coping with anxiety. However, they differ significantly in how they’re used. While the same “squeeze” theory applies to both, they have the unique ability to do something called a “slow-rise.” Due to the polyurethane foam, they’re created with, theses squishy toys are able to be squeezed just like a stress ball but will slowly puff back up into their original shape. It’s during those 10 to 20 seconds that your child is watching their squishy, that they’re also focused on their toy and not on whatever is stressing them. They’re no fuss and require no batteries, additional accessories, or assembly. Some are bright and vibrant, others muted and pastel, some coming in a myriad of animal shapes, and some are even scented. They’ve definitely gained popularity with the increase of popular Japanese games and products, and since it can be overwhelming to pick out the right figure for your child, we’re here to help. 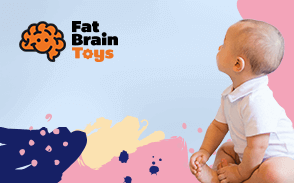 These wonderful toys can be squeezed, pulled, squashed, pinched, and flattened, yet they bounce back every time to their original shape and size. Long-lasting and durable, they will last for many years of continued use from kids and even adults who love to fidget or just have something to exercise their hands frequently. q: How is this product helpful while my child is in school? Will it be a distraction? Yes and no. Depending on your child’s needs and inclinations, they might initially be a distraction due to their brightly colored composition but will eventually just become a method of focusing. It gives their hands something to do which, in turn, will help them to focus their mind on the front of the class. It’s also great to help with memory because the motion of constant squeezing will increase their muscle memory as well while helping them to find a calm state. q: How safe are these for a toddler? We wouldn’t really recommend small ones to any child under the age of 6. The bigger ones shouldn’t be an issue, but definitely require parental supervision because they’re not completely indestructible. q: Could these be given to boys as well as girls? Of course! That’s the beautiful thing about them--they’re unisex and make a perfect gift for anyone. Many of these listed can be purchased in various colors and designs and the Kawaii style is open to anyone and everyone. q: Will these eventually lose their shape? Over very long periods of time and after many squeezes, some of them might lose their shape a bit or fail to expand as fully as they used to. If you’re worried about a younger child squeezing them too much, you should go for the ones that are defined as “durable” or “long-lasting. For older kids, any of them will be just fine. Before a squishy eventually does lose its shape, you’ll be able to tell. q: How strong is the scent of this product? For some kids, any scent is a strong scent. That’s something you have to decide based on how your child reacts toward different smells. These toys can smell rather sweet which can either be lovely or unpleasant, depending on your child’s preferences. q: Can these be brought outside, are they waterproof, etc.? Unfortunately, they are not waterproof. While some moisture won’t completely damage them, they do best when kept in a dry environment. Over time, the polyurethane will degrade and your squishy won’t expand or squish like it once did.